These Three Phase Forms only require one setting. Measure the length of the insulation in the slot. When the span is exactly the width of the form, this is all the measurement required, the forms are now ready to wind. 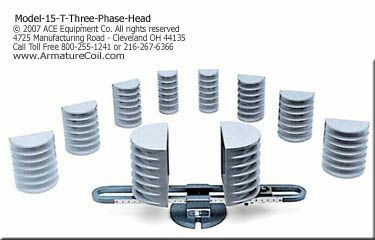 The coils being round without any sharp corners, you will save at least one inch or more in each coil turn. Multiply this by the number of turns in your motor and you will at once notice how much wire these forms will save. You will also save one hour at a time. Includes 19" Holder and 5 sets of forms, Additional forms and 25" Holder available. 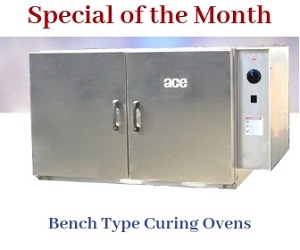 Contact ACE for specs and prices. Available in Sets: Head Nos. 1-5, Head Nos. 1-5 with Holder and Instant Coil Release.